Access to the cabins takes place from 15.00 until the reception i closed. The cabin must be vacated and cleaned before 12.00 on the day of departure. Guest that don not meed the cleaning requirements will be charged 1500 SEK. 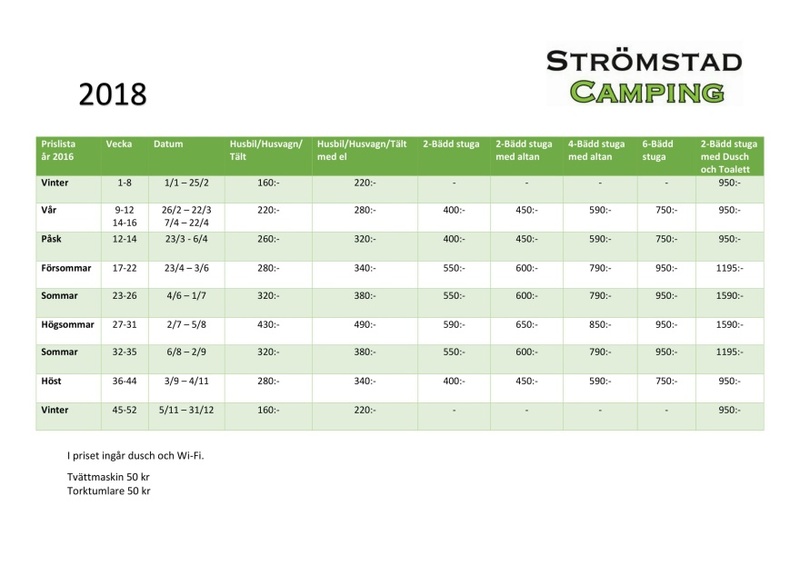 To camp with us, you need a Camping Key Europe, since we are a SCR connected campsite. If you do not have one, don´t hesitate to buy one with us in the reception at check-in.